We all get into our routines. The same can be said about our beauty rituals. We find the perfect products that support our signature looks and become so conditioned to seeing them that we find it hard to imagine ourselves looking any other way. But, routine can eventually become mundane, and we find ourselves looking for new ways to shake things up. Sometimes that means a new hair style. 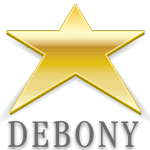 Debony Salon loves to work with you to find your new look, and many of the girls at the salon have made radical changes to their own looks as well! Both Sarah and Jaimie made drastic changes to their hair, and they share what products have helped them make the transition from long hair to short. 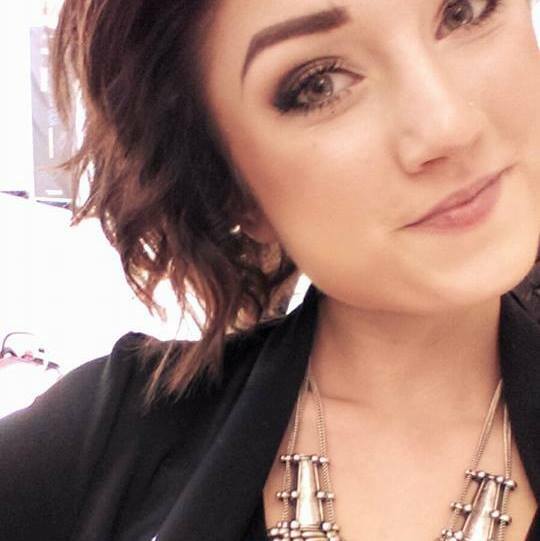 Sarah made a drastic cut by taking an altogether 15 inches off her original length over the past year. Rocking a short bob, she now uses MoroccanOil Hydration Lotion which infuses her hair with moisture therapy that helps reduce fly-aways and allows her to style her hair with a soft-hold. She also uses MoroccanOil Dry Texture spray to provide a bit of structure to her style. Once styled, she’ll work AVEDA Control Paste through her ends to create some volume and spike-y pieces at the edge of her cut. Before having her hair short, Jaimie never really put a lot of thought into styling it. Once she went short, she realized the power of products in manipulating her hair to lay a certain way. 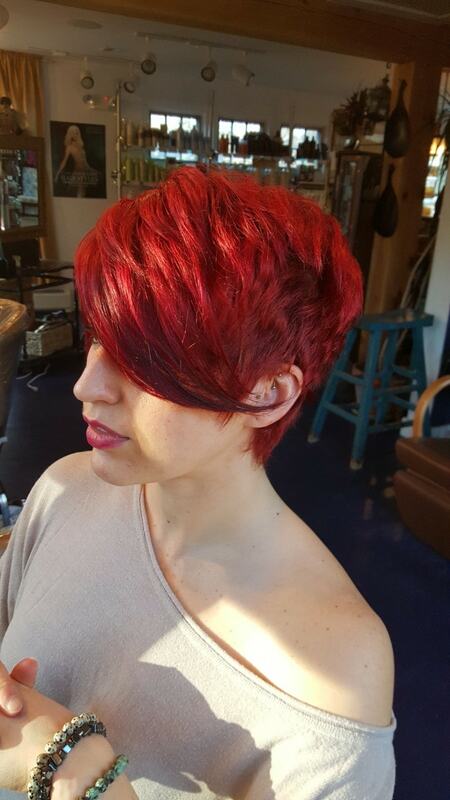 For Jaimie’s pixie cut, she switches between different products to achieve multiple looks. When wanting her hair to have a bit of volume, she massages MoroccanOil Smoothing Lotion into her damp hair and sprays MoroccanOil Dry Texture Spray right onto the roots. She then blow dries from the root up, using a round brush to create volume. Once her hair is dry, she rubs AVEDA Control Past through her hair to give it a piece-y and textured style. The paste is a great medium-weight hold. For days she wants her hair to be a bit more breezy and pliable, she applies AVEDA Style Prep generously through wet hair and blow-dries using a round brush. She’ll either add AVEDA Brilliant Anti-humectant Pomade to help control frizz and add a bit of shine to her style or she will tease her hair into a “pompadour” using AVEDA Control Force hairspray. Jaimie’s original hair color is brunette, but she and Tarmey worked to change it to a fire engine red, with a deeper red root. This added change also meant that Jaimie had to take extra care in maintaining her color. She’s conscientious in how often she shampoos and conditions her hair to preserve her color. One the days she doesn’t wash her hair, she relies on AVEDA Shampure Dry Shampoo to revive her style. Coloring hair can also cause it to dry out, so Jaimie will also use a MoroccanOil Hydrating Mask to restore moisture to her hair. This is a good weekly or bi-weekly practice for her and the mask brings back the shine and elasticity into her style. While it can be scary to make a change in your routine, once you have a solid grasp on products and their specific abilities, making the change can be so much easier and friendlier. Sarah and Jaimie, both think it’s worth taking the plunge on a change, and any of the stylists can work with you on the cut, color and products you’ll need to achieve your new look.